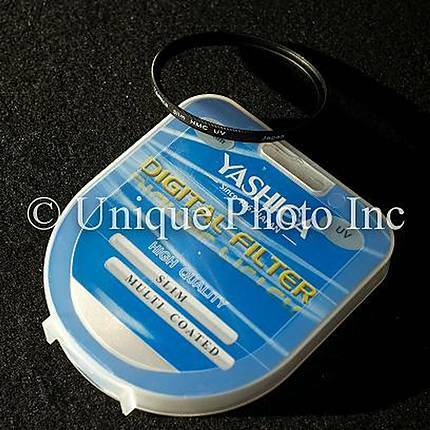 The Yashica 62mm Multi-coated UV Filter absorbs ultra-violet rays without increase of exposure, thereby preventing haziness and foggy effects in distant landscapes. It creates clearness in black and white films and prevents bluish tones in color films. Constant use of this filter is recommended for clearer pictures as well as for a lens protector.